Silk Street Market, one of the capital's most popular clothing markets, is offering vouchers worth 20 million yuan (US$2.9 million) to boost sales, which have been hurt by the economic downturn, managers said Thursday. 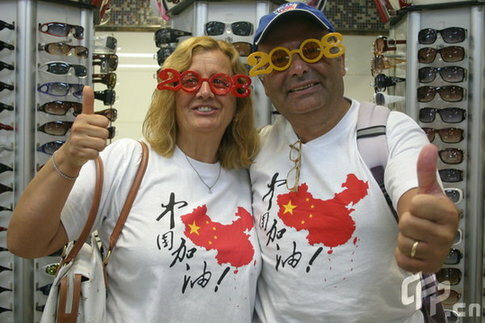 The vouchers, with a face value of 50 yuan or 100 yuan, became valid in all outlets at the market Wednesday. 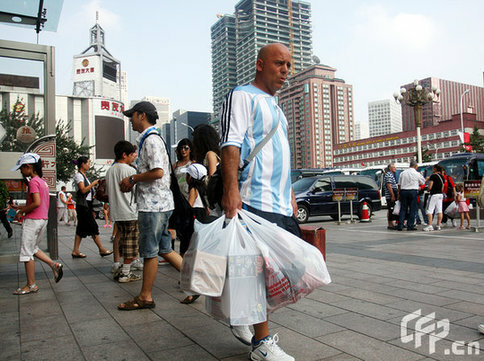 Shoppers can use the coupons after bargaining on prices with vendors, said Wang Zili, general manager of the market. Visitor numbers had not been too severely affected this year, but average spending had fallen sharply since the global financial crisis began, he noted. The market received 2.9 million visitors in the first four months of this year, down 6.7 percent from last year's same period, Wang said. The coupons will be distributed over the next year to tourists from around the world through five-star hotels, tourist guides and airlines, he said. Jin Wenbiao, manager of the nearby Wuyutai Teahouse, said sales had dropped by 30 percent in the financial crisis. "I hope the measure can boost consumption and help us out of difficulties." The street also spends 80 million yuan returning part of the rent to stall owners as another measure to combat the financial crisis. More than 90 of the owners will become the beneficiaries, Wang said. 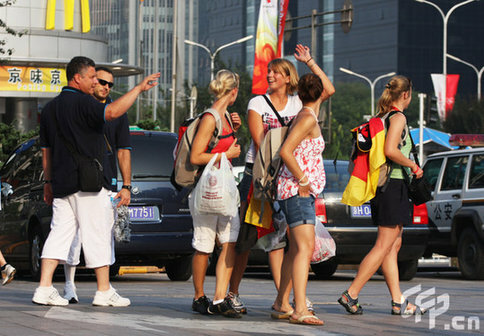 The street is a favorite among foreign visitors. Among the 1,000-plus stalls in the market, about 850 have point of sale machines that accept foreign cards. Once notorious for fake designer goods, the market moved from its previous site on Jianguomenwai Street to an adjacent five-floor mall as administrators wanted to root out the fake goods and build it into a market full of Chinese specialties, including silk, pearls, tea, china and handicrafts before the Beijing Olympics. Before, the Silk Street was a shabby shopping alley consisting of 410 stalls selling mostly knock-off luxury brand-name garments, silk products and tourist souvenirs. 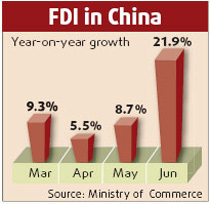 Currently, more than 60 percent of the goods sold in the street are Chinese specialties. A total of 18 century-old Chinese silk, pharmacy and restaurants are making their business in the new compound. It even promoted a "Silk Street" brand in January. The brand covers silk, ties, scarf, china, carpet and pearls.